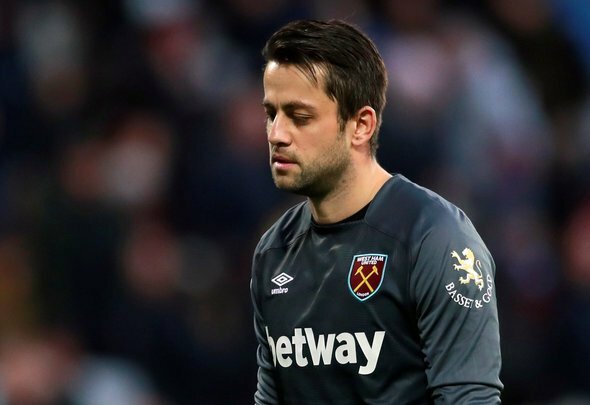 West Ham United goalkeeper Lukasz Fabianski has enjoyed a phenomenal season to date and his latest sublime showing against Crystal Palace on Saturday underlined his importance to Manuel Pellegrini’s team. He has been a remarkable signing for the Hammers, nailing down the number one shirt and reducing former first choice Adrian to the role of cup goalkeeper. In fact, they might as well give the 33-year-old the Hammer of the Year award right now. There will be some competition, of course, most notably from youngster Declan Rice, but Fabianski deserves it for the number of points he has single-handedly secured for Pellegrini’s team. That was very much the case on Saturday, as well. After West Ham went ahead through Mark Noble’s penalty they were forced to work hard to try and hold on to what they had. Fabianski was chief amongst those battling against the tide of Palace attacks. He made phenomenal saves from James McArthur and Christian Benteke and was an inspirational figure in the Hammers goal. That has been the case on numerous occasions this season. He has truly been superb and is undoubtedly now one of the top goalkeepers in the Premier League. Indeed, the list of top flight shot-stoppers who are better than the Pole has become remarkably short. There’s David de Gea, Alisson and Ederson, of course, but beyond that there aren’t many ‘keepers who you would take over Fabianski. With all that said, it would be a major shock if he wasn’t crowned the club’s Player of the Season. He deserves it for what’s been a tremendous debut campaign in East London.